Kim at http://theteacherslane.blogspot.com/p/grade-level-linky-party_28.html is having a grade level linky party to organize all the great blogs out there. Hop on over and paste yours in the appropriate grade level. While you're there visit Kim's and a few others. I know "a few" is IMPOSSIBLE to do! What ever will I do when school starts Wednesday?? Happy Linking and Thanks Kim! 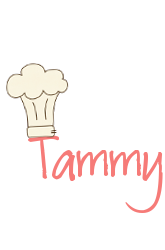 Looks like fun, Tammy. Thank you!